Apartments to rent in Barcelona city centre. 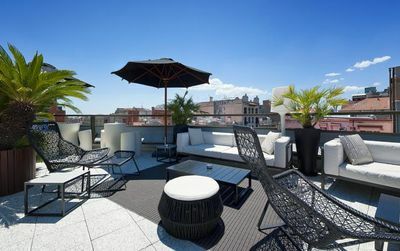 A recommended area for a vacation rental in Barcelona.. The Barcelona city centre is the whole area that radiates around Plaza Catalunya. An interesting geographical location for all the inhabitants of the city, being the arrival point for all buses arrive, including the airport shuttle. (See map). 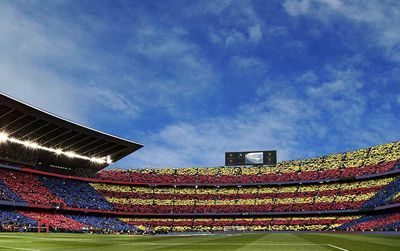 Ideal location for renting a holiday apartment, being at the centre of Barcelona will ensure you can visit most of the Barcelona monuments within a walking distance. It must be said that the districts of downtown Barcelona are simply the most interesting to visit and therefore to look for a vacation apartment rental. 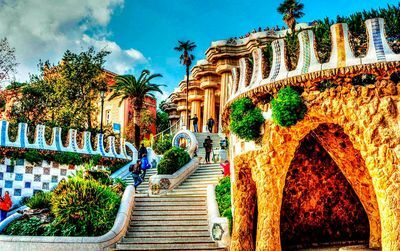 In the left-hand area of ​​the Eixample district there are two masterpieces by Gaudi, La Pedrera (14 minutes) and Casa Batlló (9 minutes), and in its right-hand zone the absolute monument of the Master : La Sagrada Familia (30 minutes, a big walk that will allow you to see the real Barcelona). The Gothic Quarter and its marvelous alleys are home to the Barcelona Cathedral (9 minutes) and the Palau de la Música Catalana (9 minutes). The El Born area hides the Barcelona Picasso Museum (15 minutes), El Born CC for Cultural Center (18 minutes), Parc de la Ciutadella (18 minutes), not to mention all these wonderful tapas bars and shops. El Raval hides the Boqueria Market (6 minutes) and the Grand Theater of the Liceu (6 minutes). 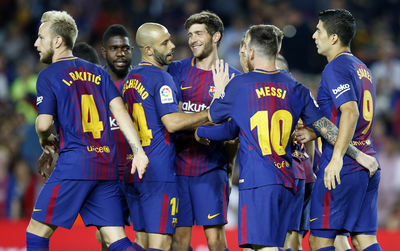 As for the Ramblas, they leave from the Plaza de Catalunya to go to the port (16 minutes) and the beach through the Barceloneta (21 minutes). When you are told that this central area is the best for an apartment rental in Barcelona, ​​you have to believe us! And do not forget to look at our daily apartment offers which can save you up to 25% of the price on your stay. I notice all apartments are so modern... any old cool spaces? I have spent hours trawling your site for a two bedroom apartment for two married couples. It is very frustrating, especially when you show endles photographs of the living areas, and several of similar shots of the double bed room, and only one of the twin bed room......my husband and I don't mind putting up with twin beds, but not bunks! Why is it so dificult to find two doubles? ?